UES Awarded for Outstanding Sales Performance in the Middle East Region. Genset Division adds another feather to it’s cap. in Middle East for the year 2016. 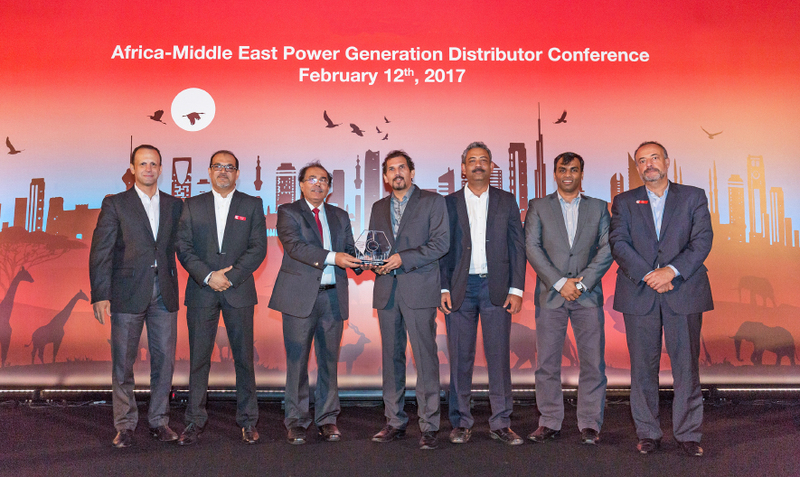 The award was presented by Mr. Gino Butera, Vice President Africa Middle East ABO & Mr. Alex Savelli, Executive Director - Cummins Power Generation, in a sparkling event held in Dubai. This recognition is very special, as UES has secured this award among 9 other Distributors in the Middle East region. Please join us in congratulating the Genset Division for their remarkable achievement.